A retreat designed to give you the tools to overcome life struggles. Whether you are facing anxiety, burn-out, overwhelm, sleep problems, health issues or a few stubborn extra pounds; this experience will prove that changing the way you think really can change everything. Enjoy accommodation in a luxury, beachfront villa in paradise. Nourish your body with chef-prepared paleo or vegan meals, beach bootcamp with Andrea Somer, yoga and a host of wellness amenities onsite. Dr. Lynette Louise aka The Brain Broad (BCIA, NTCB) will offer SMR neurofeedback, Cognitive-behavioral therapy (CBT) and belief busting to create fast, effective change as well as three motivating workshops. Dianne Kosto, SCN, CEO & Founder of SYMMETRY Neuro-Pathway Training - a technique that uses the brain’s own remarkable capacity to ignite new neural network connections. She will also offer daily Q&A to go over specific questions and maximize your benefits of the retreat. Dana James, founder of the Archetype Diet will use her 18 years of research to show you that weight is more than just what you eat. She will help you find your Archetype and explain how it shapes your personality and behaviors and how to use it to feel amazing. Enjoy the site, sound and taste of Mexico with a trip to the magical town of Sayulita and a Mexican cooking class. During a saga to help her son, Dianne was introduced to the science of neurofeedback and has since been on a mission to share this drugless, painless, noninvasive modality that she believes saved her son's life. She is now a leader in the field. Dr. Lynette Louise (known as The Brain Broad) is an award winning author, speaker, opinion writer, host, humanitarian, and change expert. She is universally applauded for her skilled use of science and stories when speaking to and teaching groups. 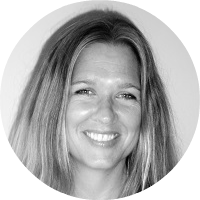 Dana James MS, CNS, CDN, is a triple certified nutritionist, functional medicine practitioner and cogitative behavioral therapist. She takes a rare approach to women’s weight loss putting self-worth at the center of the conversation. Andrea is a NASM certified personal trainer. 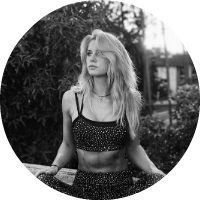 After overcoming her own health challenges including IBS, she created a program to help others reach their optimum state of well-being. She is based at Equinox in LA where she inspires clients daily. We offer a paleo or vegan menu. If you have any dietary requirements we can likely accommodate them with advanced notice. There are many other activities you can add to your itinerary if you so desire. Below is a selection. If you don't find what you are looking for, let us know. The retreat takes place in a beachfront luxury villa located in the exclusive neighborhood of Punta Mita on the Pacific Coast of Mexico. Punta Mita is 40 mins from Puerto Vallarta and 20 mins from the hippy-surf town Sayulita.